Sunday Quote!- The New Atheist Mythology | J.W. Wartick -"Always Have a Reason"
The book analyzes various novels in light of this theme: that the New Atheists are, in a sense, creating a rival mythology to the monotheism they denigrate, and this expands into literature in various and interesting ways. In a sense, this mythologizing about the power of the human mind, the wonders of the cosmos, or the beauty of poetry is a project to create transcendence in a worldview which, by definition, rails against the transcendent. It is a kind of creation myth which allows for meaning to seep into the meaningless. What do you think? Can humans live without a mythology? Is wonder a necessary part of the human condition? Why do you think that even the “New Atheists” have put forward such lyrical and mythological language in their writings? As I said, I’ll try to get a review of this book up ASAP. 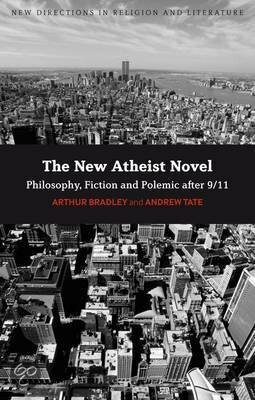 Arthur Bradley and Andrew Tate, The New Atheist Novel: Fiction, Philosophy and Polemic after 9/11 (New York: Continuum, 2010). You’re using the word “mythology” in its academic sense, as a handy narrative that isn’t necessarily false. I think people need such a narrative, and they also need a sense of wonder. But you go too far in suggesting that the new atheist mythology is trying to be transcendent. The whole point of atheist wonder and scientific study is to appreciate this world, and it has nothing to do with some imagined higher world.